How To Brand Your Photography Business - An in-depth guide to branding. Branding. We all know what it is, but as a photographer, how intentional are you in building your photography brand? 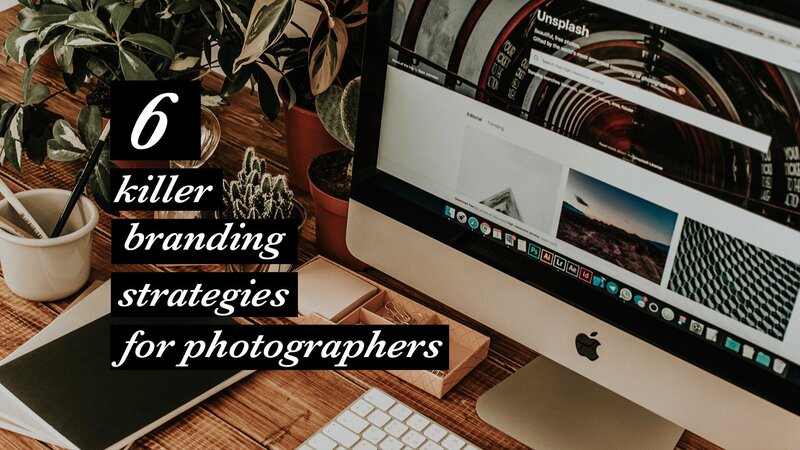 Today we’re going to look at one of the keys to success in branding your photography business: brand positioning. Lets look at a handbag from Target. Price = $7.99. Perhaps its a little ugly, but its simple, functional, and gets the job done. Now here is a Gucci Tote. Price = $3200. I’m not joking. Three thousand two hundred dollars. With $3200, you could buy FOUR HUNDRED Target handbags! Its literally 40,050% more expensive to buy the Gucci bag than to buy the one from Target. So if they do basically the same thing, why is there such a price difference? The answer to that question gives us big insight into your photography business. What makes your clients choose you over the next photographer? That is what brand positioning is all about. Emotion drives sales more than any other factor. More than practicality, more than need, and more than price. This is especially true the more expensive a product or service becomes. Great realtors don’t sell homes by the type of wood used in the framing or the lifespan of the shingles. The most effective way to sell a home is to get the homebuyer to picture themselves living there, and all the emotions and future memories that home represents. Jenny Craig does over $400 million in sales every year helping people lose weight. What would you expect when you visit their homepage? Stats about the worst obesity epidemic in history? Tips on how to control your appetite, choose healthier food, exercise?! A freaking chocolate lava cake, ravioli & street tacos! Most people want to lose weight, but they don’t want to do it if it means eating spinach and steamed carrots every day. So what does Jenny Craig do? They target that emotion with delicious desserts & carbs. The message? If you buy their program, you get the amazing feeling of losing weight, AND you get to eat delicious food at the same time. Anyone can buy a handbag from target. They make millions and are sold at hundreds of locations. I don’t know how many of those Gucci bags were made, but at $3200, there aren’t going to be very many people rocking the Gucci look when you’re out shopping. Gucci has cultivated a brand of exclusivity and status. Is your branding the Target Handbag? Or are you the Gucci? We’re going to unpack 6 specific branding strategies to position your photography studio like Gucci. End result? Book more shoots while charging higher prices. Your promo materials & website design communicate a LOT about your brand to your visitors. Is it bright and airy or dark & moody? Is your content modern & trending, or does it look like it was last updated in 1997? Is the look of your site consistent with your social media & print? Does everything work together to express your unique voice? Are they working in harmony, or are they disjointed & cluttered? If your website is a hot mess or hasn’t been updated in over a year, start there. For specific tips and ideas, check out our post on 11 photographer websites you should copy! The only thing that no other photography studio has is YOU. Working with you is the one thing your clients can’t buy anywhere else. So showcasing your unique story, personality & style is a key strategy to positioning yourself as an exclusive service – Not just another photographer. Assuming these apples are exactly the same, which apple do you buy? 99% of people would buy the $0.51 Apple – After all, its the exact same apple and costs half as much. Clients do the exact same thing when they look at your photography vs someone else! Assuming your photos are more or less the same, price is the only thing they have to compare with. All of a sudden, you’re thinking very differently about your apple selection! Now there is more to compare than just your pricing. Not everyone is going to buy the apple that costs twice as much, but lots will. And they never would have if all they had to go on was the price. Almost every high end brand uses a similar strategy. For instance, Apple makes computers like dozens of other companies. But their brand doesn’t focus on selling computers. They sell the innovation & creativity that you can only find in apple products. And people line up around the block to buy. Different types of customers value different things. For example, a teenager buying their first car is looking for totally different features than a new mom. C) Will it help me to care for my child? Our teen’s highest priority might be price, while the new Mom might not even CARE about price. Now take a look at what your own clients you want. Who are they? What do they value? What are they looking for?Is the look and feel of your marketing speaking to that person and what they value most? This is the single most important part about branding & marketing: Understanding your audience, and focusing on what they value, rather than just telling them what you offer. When you’re starting out, you don’t have hype or reputation on your side. The key to a WOW brand is delivering wow service. Doing this not only positions you as a higher level of luxury, it also turns every customer into a raving fan who will tell the world about you every chance they get! A few days later, a package appeared on our doorstep, containing a beautiful collection of polaroid style prints with a display holder. We were floored! We didn’t pay for it, we didn’t ask for it, and we didn’t expect it. That display went up on our fireplace mantle, and every time we look at it or someone gives us a compliment on it, guess who we think of? Since then we’ve referred ALL our friends to her, raving about her photos and her service. This little gift probably cost her $60-70, but its yielded several thousand dollars worth of referrals so far, and we’ll continue to refer to her in the future! Create a wow experience for your clients – Do the unexpected. Its not scalable, its not efficient, and that’s why nobody else does it! Did you know a customer is 400% more likely to book your services if referred by a friend? Ever client review and testimonial you get for your website is like a little soldier in your own personal referral army! For example, I was shopping for protein powder the other day on amazon. I thought I had narrowed it down to a few of the highest value options…. But then I read this amazing review for a totally different protein powder that I hadn’t even considered. Looking at the rest of the reviews for this powder sealed the deal for me. It cost 30% more, I hadn’t even heard of it, but I bought it anyways, JUST because of the reviews. So how do you get more reviews and testimonials? #1 Give. Give the best service in town. Go above and beyond. Deliver a great product. #2 Ask. 75% of my reviews came only after I specifically followed up and ASKED my clients. You can double or triple your reviews just by asking for them after you deliver your clients their photos & prints. #3 Offer. Sweeten the deal by offering your clients a free gift, $5 gift card or future discount in exchange for a review. Trust me – Its worth the investment! This is the exact method we looked at in our in depth tutorial on generating reviews, and is the secret for one business getting 10X the reviews of their competitors. Its part of human psychology that we fear loss more than we desire gain, and desire what is rare more than what is plentiful. Those two forces will propel sales further and faster than any other strategy or tactic. See what a huge difference that makes? You only have a short wedding season with a limited number of weekends available, therefore you actually DO have scarcity, even if you only have a couple gigs booked. People have a tendency to act when they know they’re going to lose out on something. Introduce an expiring discount to your packages, or offering a free service if they book within a certain time. This creates an added incentive to book now instead of shopping around. For example, I recently tried out a free coaching call offer from a business blog I follow. I knew they were going to try to sell me their services, but I was determined not to invest right now. During the coaching call they offered me their ongoing package, which normally costs $7000, but if I bought within 8hrs, they would offer me a $2000 tuition break. I didn’t plan on booking them on that call, but I also didn’t want to miss out and have to pay $2000 later! Guess which dummy signed up for coaching? Doing this for a wedding photography business could be as simple as adding an extra hour of photography on the day if the clients book within 24hrs of their consultation. Or maybe a $200 album credit if they book within 48hrs of the proposal. Experiment to see what works best, and you will find yourself closing WAY more sales. Within each of these 6 strategies is a chance for you to create exclusivity and emotion. There are LOTS of amazing photographers out there to choose from – But there is only ONE you. Brand positioning starts by placing the focus on the clients emotions and desires, and the unique + exclusive experience of working with you, rather than selling on price or hoping your photos are marginally better than the next guys. Good photos matter, but I can tell you from personal experience that their are way more talented photographers than me in my town, and yet I get far more inquiries and charge more than they do simply because of my branding. What do you think? How can you tweak your branding to create emotion & exclusivity?